We got an early start to the day and after a nice breakfast, the students attempted to sort out the transit route & details to the Museum of Natural History. 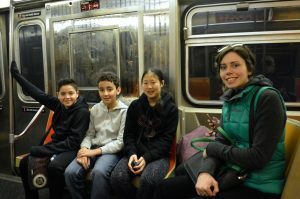 We reviewed the safety protocol for riding the subway, successfully navigated our way to the correct stop and the full-day adventure began. For those of you who have visited the museum, you know that there is too much to see in one day, so the students reviewed the museum map and made a plan to try to fit in the exhibits on the list. 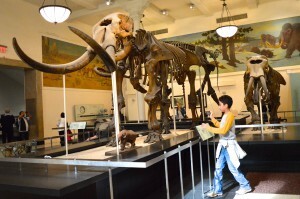 Time passed quickly but we did manage to see a majority of the exhibits, including the mammoths, which was a highly anticipated exhibit for one of the students who had completed an extensive project on mammoths while in lower elementary. 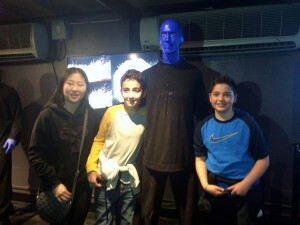 After dinner we made our way over town to attend the off-Broadway show “Blue Man Group”. 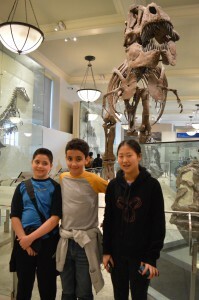 We had previously arranged to see this show with Boundary Bay Montessori, also from British Columbia. 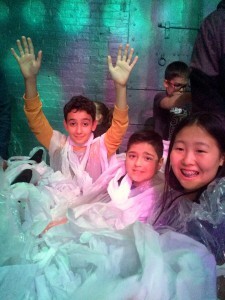 We were seated in the ‘splash zone’ which meant we were required to wear disposable rain jackets in the event paint, water, jello, and who knew what else, might fly in our general direction. 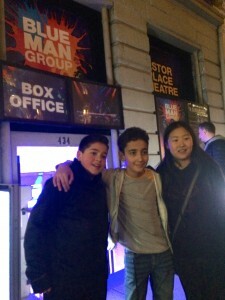 The show exceeded our expectations and was a total BLAST! On our way back to the hotel, we noticed some tiles in a subway station which noted individuals or groups who ‘played’ Carnegie Hall. 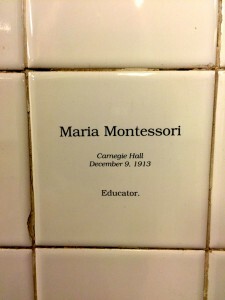 We spotted Maria Montessori’s name from her visit to Carnegie Hall in December 1913.